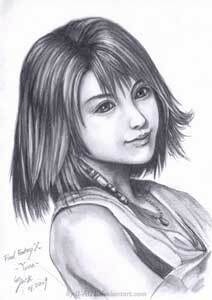 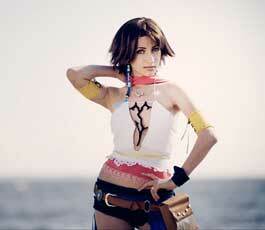 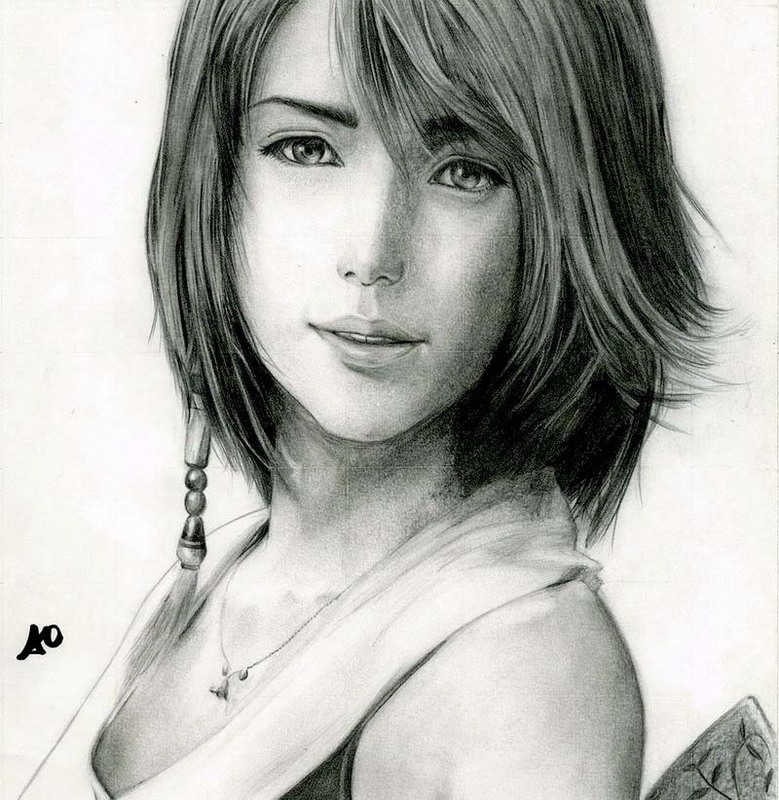 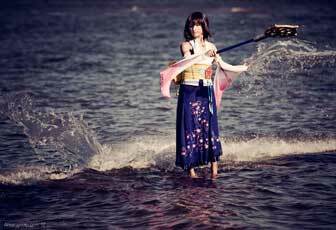 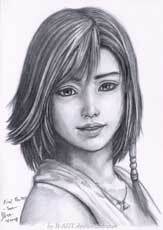 Yuna is one of the main protagonists in Final Fantasy X and returned as the playable main protagonist in FFX-2. 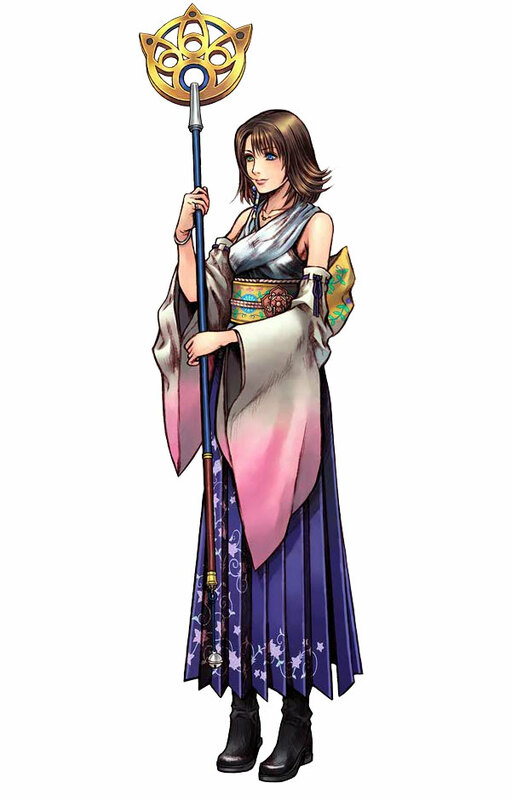 She also made it into the Kingdom Hearts II, Theatrhythm Final Fantasy, Dragon Quest & Final Fantasy in Itadaki Street Special and Final Fantasy Dissidia 012. 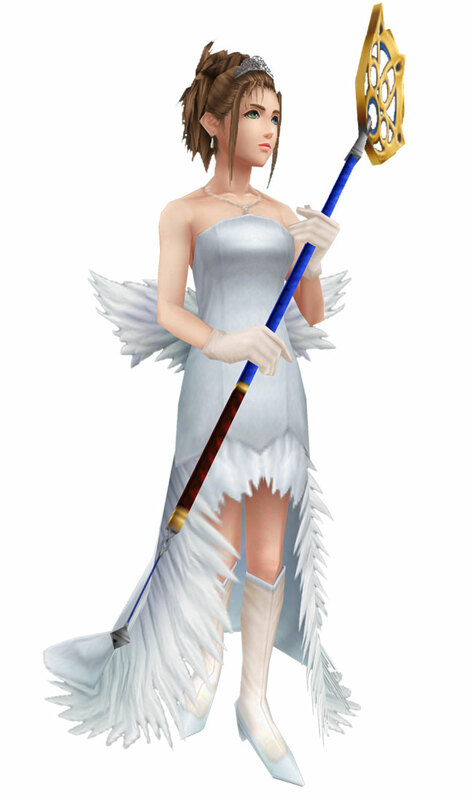 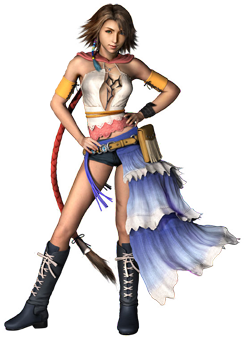 In Final Fantasy X, Yuna is the daughter of the summoner Braska who once defeated Sin. 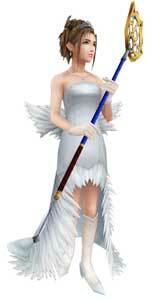 She is a summoner as well and on her journey to defeat Sin too with the help of her guardians. In Final Fantasy X-2 she got a big design change and searches for clues to find a way to be together with Tidus, the playable main protagonist from Final Fantasy X. 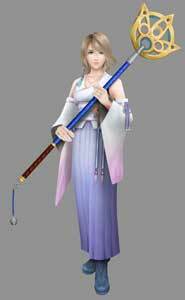 In Final Fantasy Dissidia 012, Yuna fights for the side of Cosmos alongside Laguna and Lightning against Garland, The Emperor, the Cloud of Darkness, Kefka and Ultimecia. 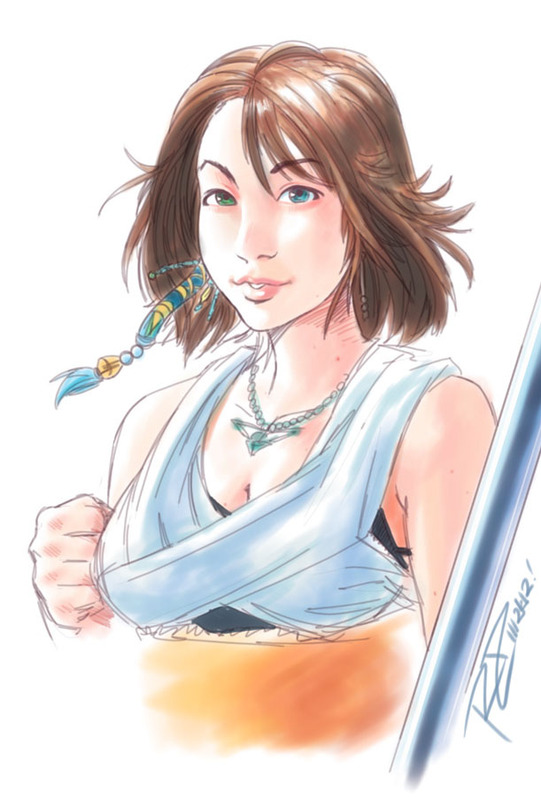 Yuna is one of the more popular FF characters and was featured in the Dead Fantasy videos, there are a lot of quite awesome fan arts and cosplays of her. 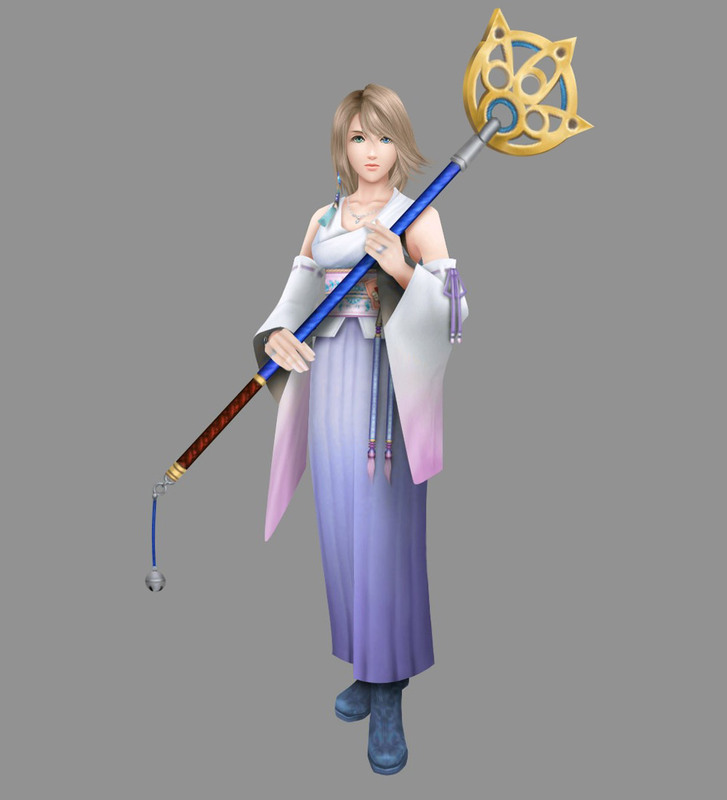 These are from Final Fantasy Dissidia 012 (2011) including her different costumes in the game.